The recently 32-year-old Spanish Tennis Player and World No. 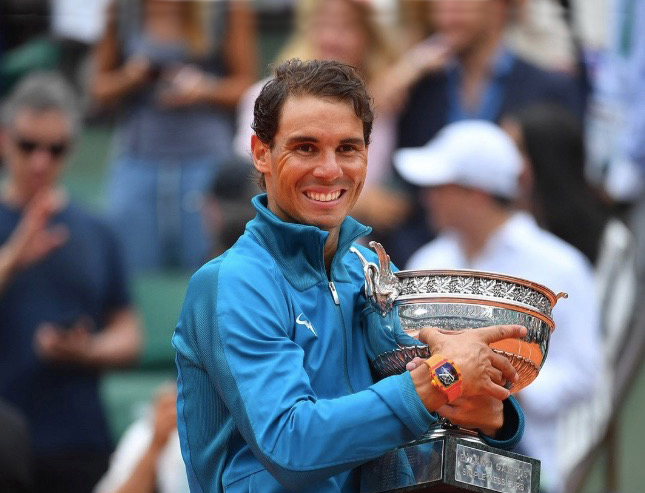 1 Rafael Nadal earned a 6-4 6-3 6-2 over Austria’s tennis player Dominic Thiem to retain his Roland Garros crown despite complaining of a wrist and finger injury in the third set on June 10th at the French Open in Paris, France. Having just turned 32, Rafael Nadal triumphed in dominant style to win his 17th grand slam title, just three major honors behind Roger Federer’s all-time record of 20. Rafael Nadal who recently won a triumph in Rome keep showing their fans how strong and impeccable he's for Tennis. Again hoisting the triumph high and biting down on its handle for the 11th time after defeating Dominic Thiem, 6-4, 6-3, 6-2, in the final on Sunday. Nadal, who had some shaky opening starts this year at Roland Garros, was well aware of the threat, and he was focused and ferocious from the first point. Worth to mention Dominic Thiem had beaten Rafael Nadal last month in Madrid but was repeatedly left frustrated here. Nadal has won his 11th French Open title on a warm, humid Sunday afternoon, an achievement that reduced him to tears of joy in Paris. This victory means the past six Grand Slam titles have been won by either Nadal or Federer with the next generation of players finding it hard to break the veterans' stranglehold on the game. 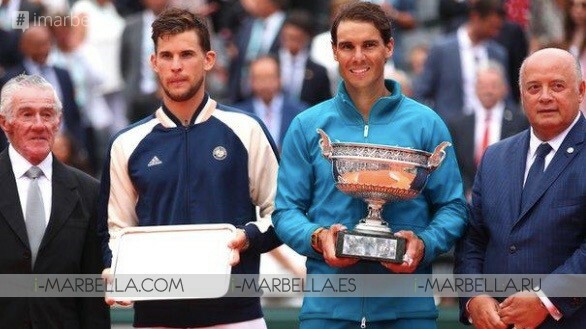 The Spaniard had been the favorite to win the second Slam of the year, after warming up with three clay-court titles in Monte Carlo, Barcelona, and Rome. The Majorcan has an air of invincibility at Roland Garros, losing only twice in 87 matches since making his debut in 2005, and again he delivered on his favorite stage. “Winning here after having the clay-court season that I had is emotional and that gives me calm and confidence to keep going,” said Nadal. “If you tell me seven, eight years ago that I will be here, 32 years old, having this trophy with me again, I would tell you that is something almost impossible, but here we are. I am not much worried about the future. 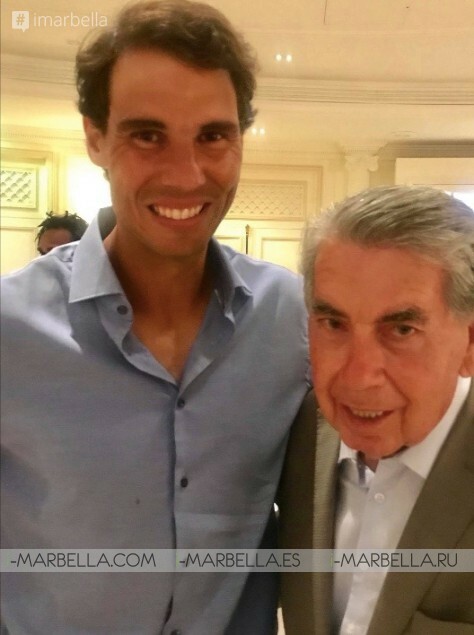 Spanish tennis legend Manolo Santana was following the final closely witnessing the eleventh victory of Rafael Nadal at Roland Garros in which he described Nadal as "the best there has been and will be." Despite being cautious about Nadal's chances at Wimbledon, he said he believes he will have a good chance of winning a Grand Slam at the World Cup. The United States Open. 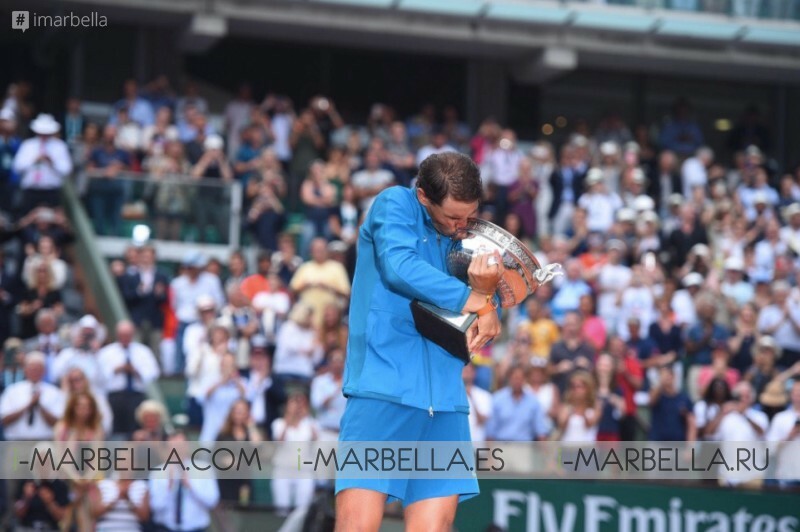 On the other hand, Marbella Mayoress Angeles Muñoz also congratulated Nadal posting on her Facebook. ‘’Congratulations Rafael Nadal for achieving the eleventh title of Roland Garros. Your legend keeps growing !!’’. Congratulations to Rafael Nadal for his 11th French Open!